January 1st fell on a Sunday this year. 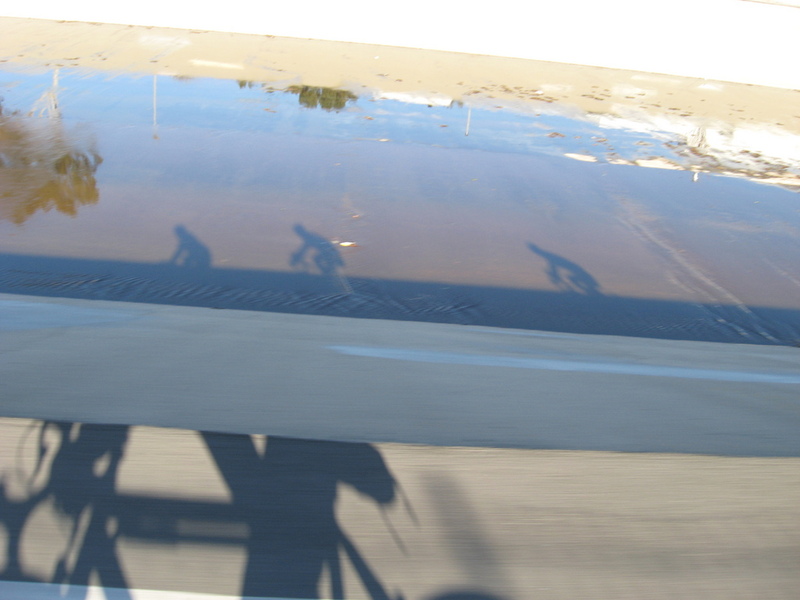 This meant that I could go riding on New Year’s Day, which I always consider to be good luck. 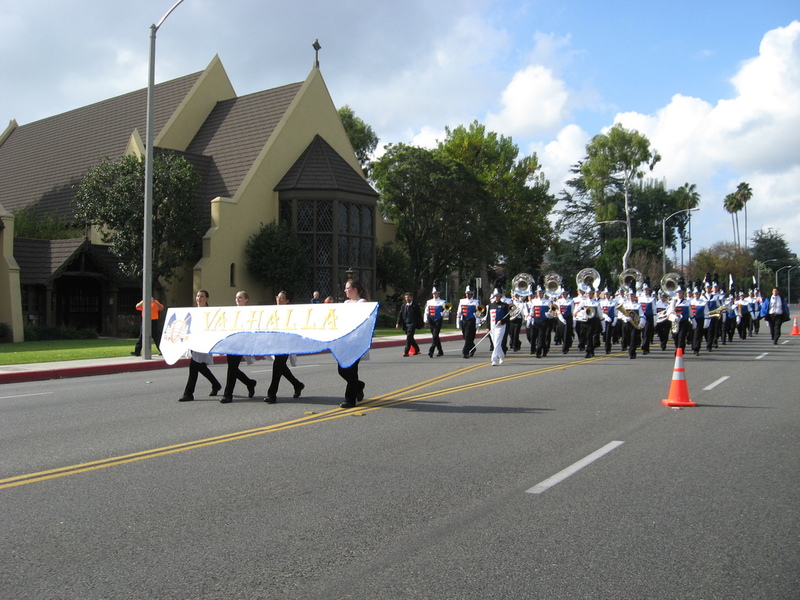 And it also meant that there was no Rose Parade in our way. So the ride for today was the classic Turnbull Canyon route through Whittier. 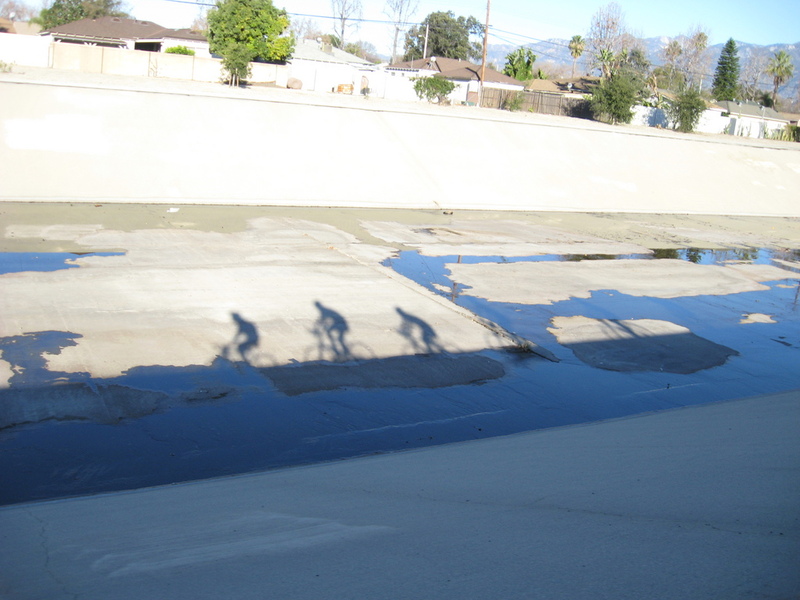 The sun is low in the sky this time of year, so I like getting the long shadows photo when we’re riding down the Rio Hondo bike path. 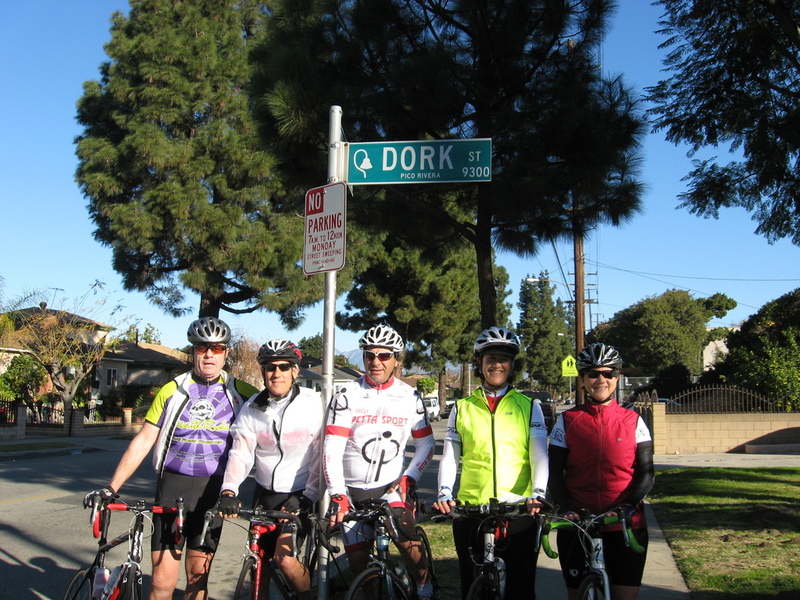 We had a couple of new riders along today, so we stopped off for the photo opportunity at Dork Street in Pico Rivera. Then we headed up Beverly Blvd into Whittier. By now it was quite warm, and it got even warmer as we rode up the long hill to the top of Turnbull Canyon. The view was quite nice today. After we all got to the top and took a few minutes to enjoy the view, we headed down the other side. The route back was through La Puente, leading to our snack stop at Merengue in Monrovia. Sadly, they were closed for the holiday. 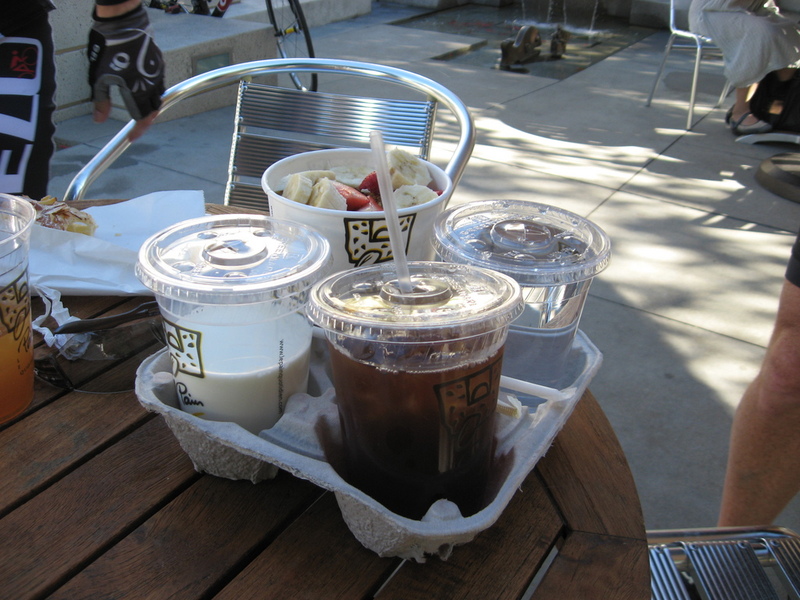 So instead, we went to the Coffee Bean and Tea Leaf up the street. That was where I saw the two girls sitting at a table together, both talking on their phones. I guess it’s how we live now. Coming back into Pasadena, we saw people setting up camp along the Rose Parade route, ready for the parade tomorrow morning. It’s Christmas Day, and it’s also Sunday, so that means it’s time to go for a bike ride. And I came up with a theme-ride for today. 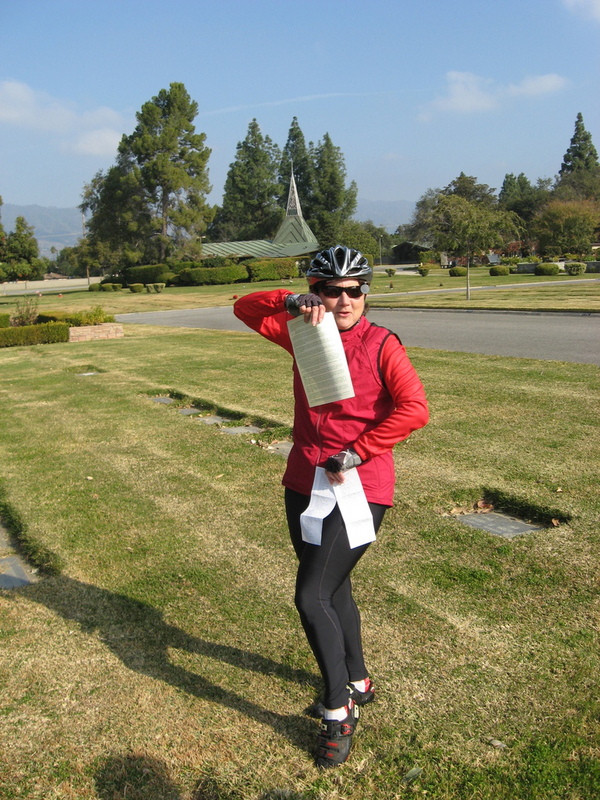 We rode to Forest Lawn in Glendale to visit Jimmy Stewart, who is perhaps best known for playing George Bailey in the 1946 film “It’s a Wonderful Life“. 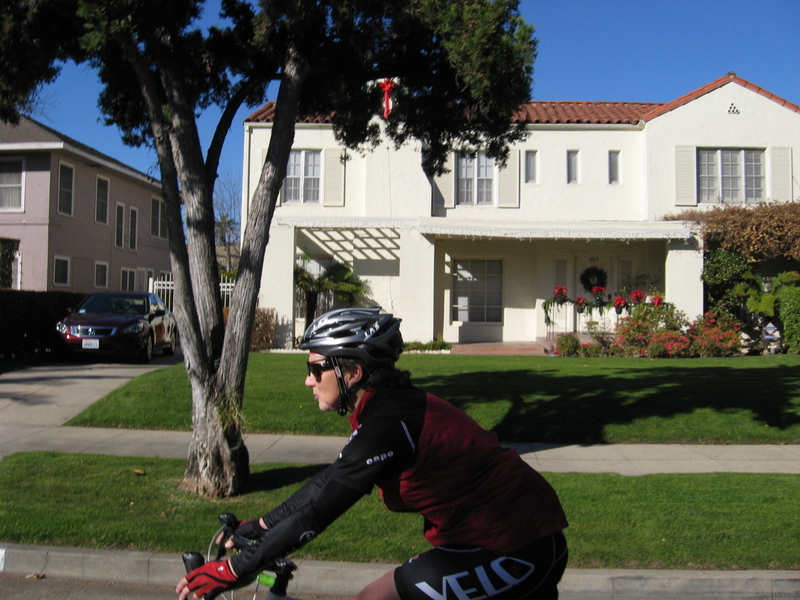 And from there, we rode to La Cañada to see the house that was used in the film to portray the Martini family house in Bailey Park. 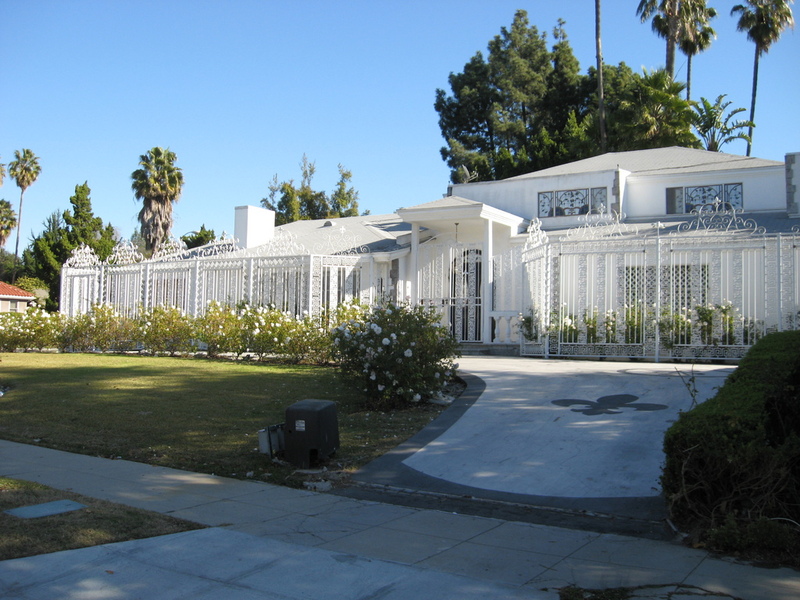 This was part of showing George all the good he’d done in the world, since the Martini’s were able to buy this nice house with help from the Bailey Building and Loan. It was a bit chilly when we started out, but it promised to get warm soon. 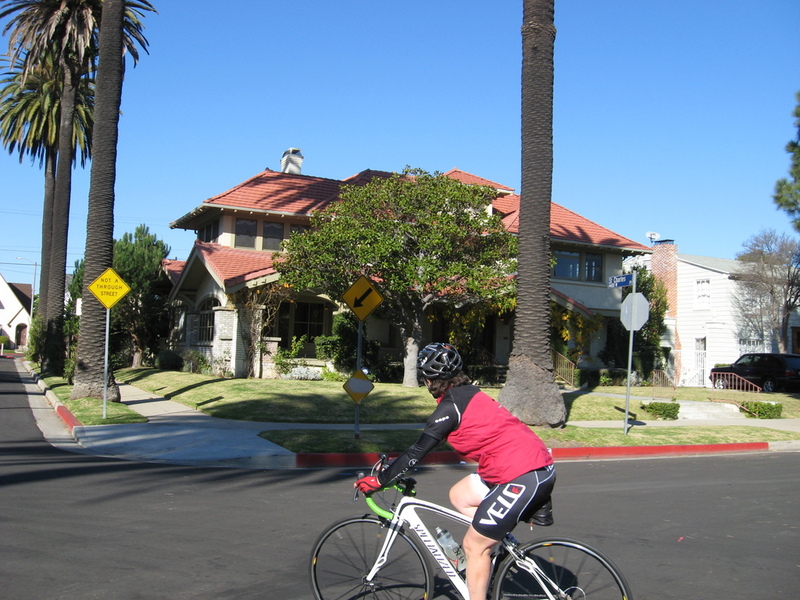 We rode out across Eagle Rock and then south through Glendale to Forest Lawn. 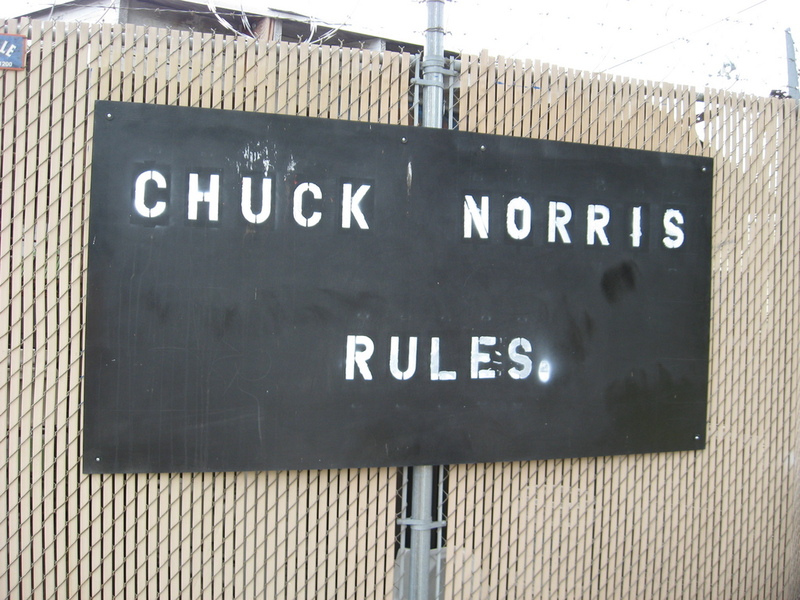 I asked for directions at the gate, and then we headed in. Jimmy Stewart is buried near the Wee Kirk ‘O the Heather church, which is up on a pretty steep hill. But we made it up there, and we got to pay our respects. And we also talked a bit about how it was kind of funny that the movie itself was originally considered a commercial failure, but after it fell out of copyright in the 1970s and was shown a lot on television, it came to be regarded as a classic. Leaving Forest Lawn, we headed up to Paradise Bakery. After a stop there, we rode up the long hill to Montrose, and then up the somewhat steeper Hospital Hill into La Cañada. 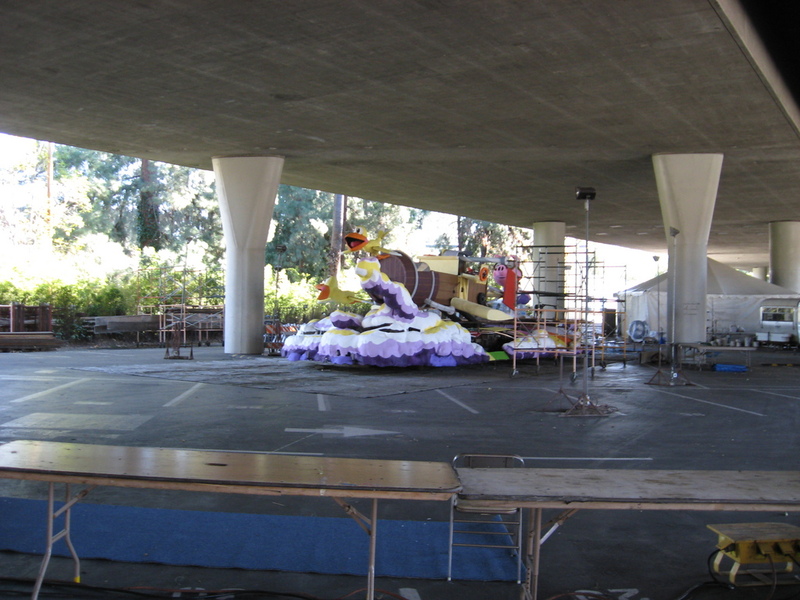 There, we saw the La Cañada Rose Parade float parked under the 210 freeway, and then we saw the Martini home. 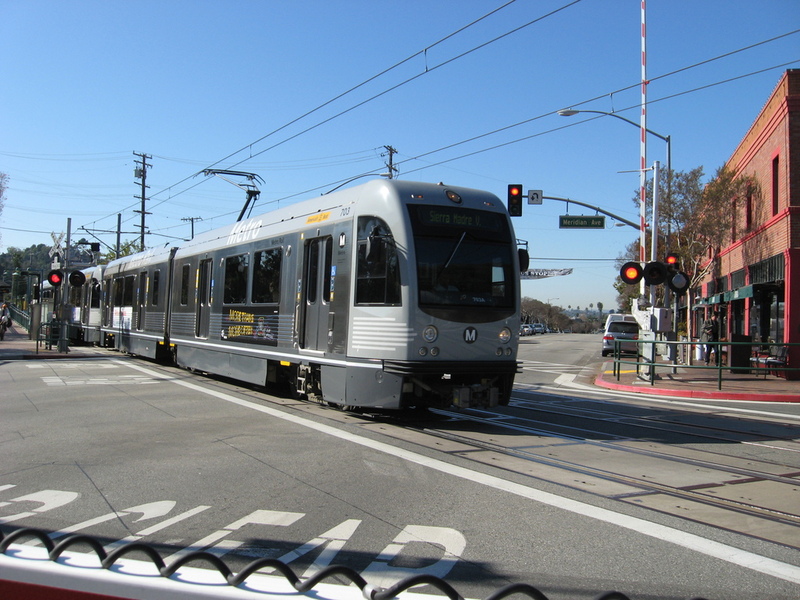 And after that, we headed home by way of Altadena. It was a wonderful ride. 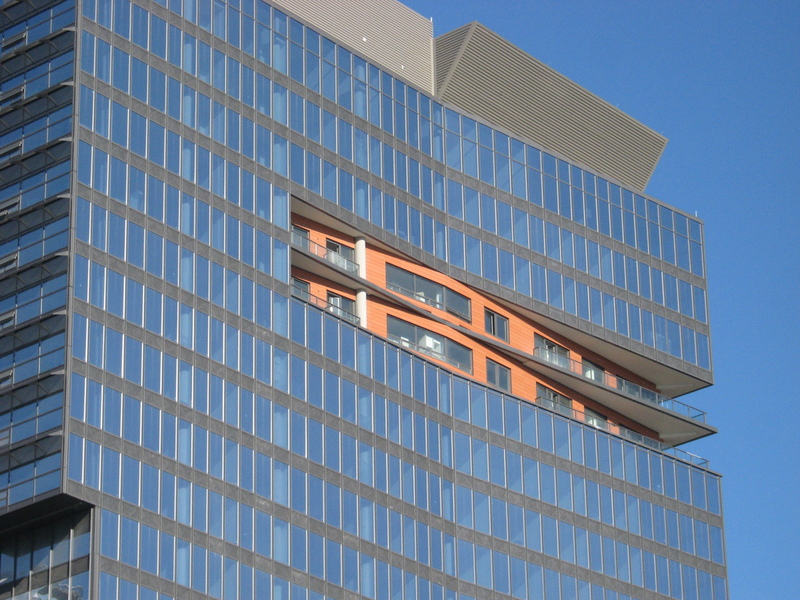 One blog that I’ve recently taken to reading regularly is perilsofdivorcedpauline.com. Last week I was reading a post where she talked about the historic neighborhood she lives in. 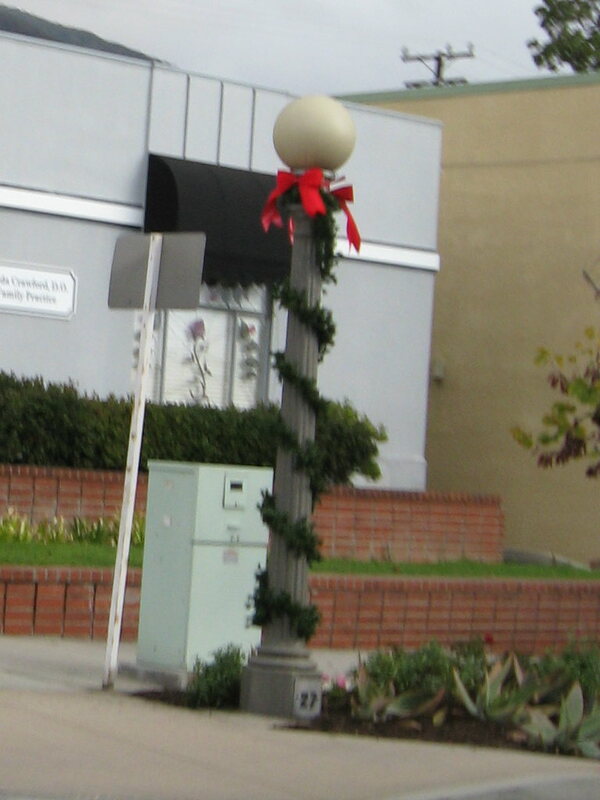 From what she said, I gathered that it was in Los Angeles, and somewhere in the West Adams area. I wrote to her to ask about it, and she pointed me to information about Lafayette Square. It’s a little pocket of old mansions right smack in the middle of mid-city L.A., not far from downtown. 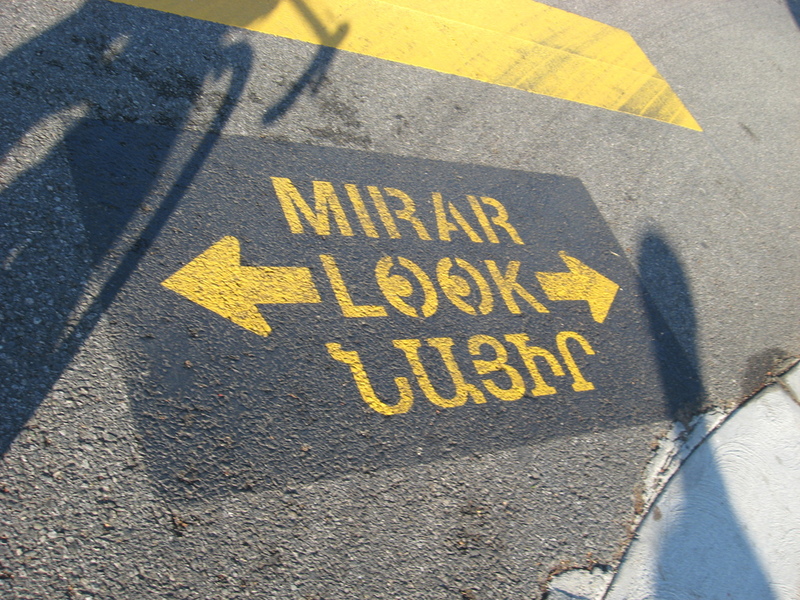 And of course, I immediately started thinking about riding there to see it. 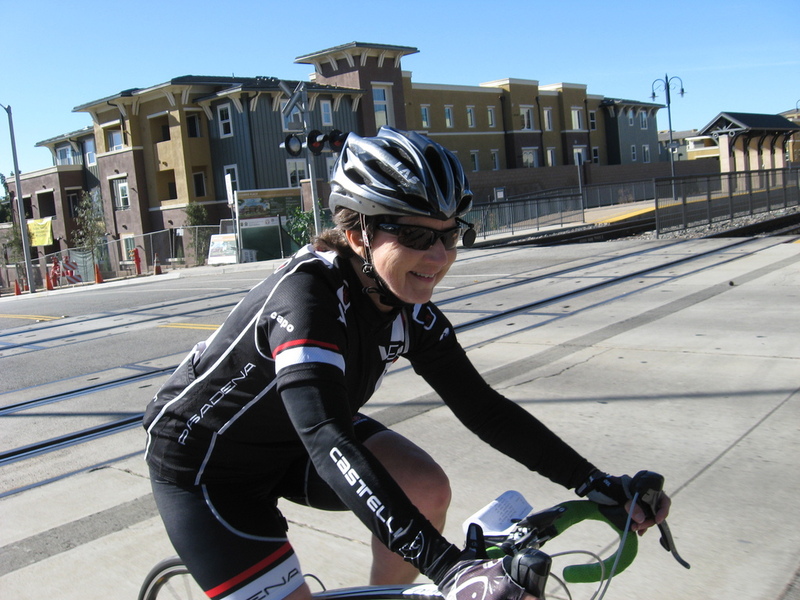 I made up a route to test out, and Carla agreed to join me for the ride. We headed downtown by way of Huntington Drive. 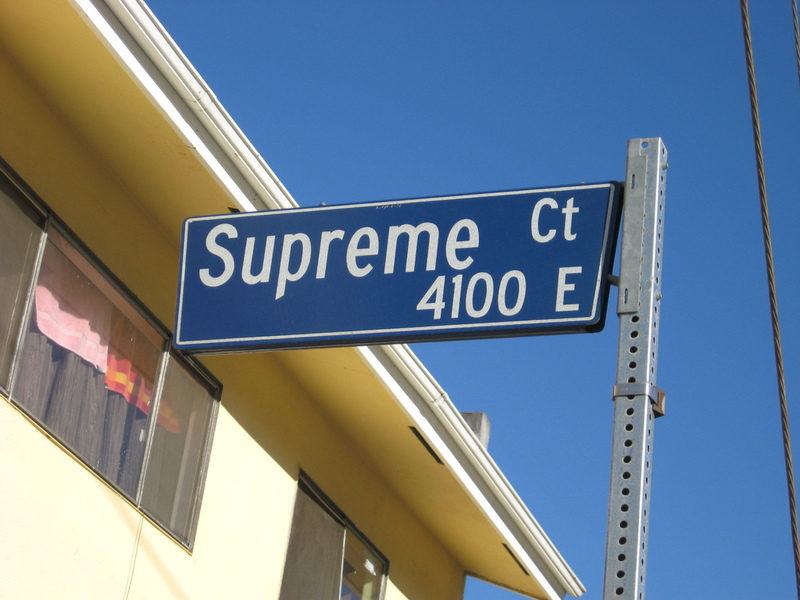 Along the way, I was amused to see that there’s a street called Supreme Court. And I’m sure there’s no significance to the fact that it had a sign that said “NOT A THROUGH STREET”. We rode through downtown, partly along the new green-painted bike lane down Spring St. I’m not sure what I think of this, but it was an interesting sight. 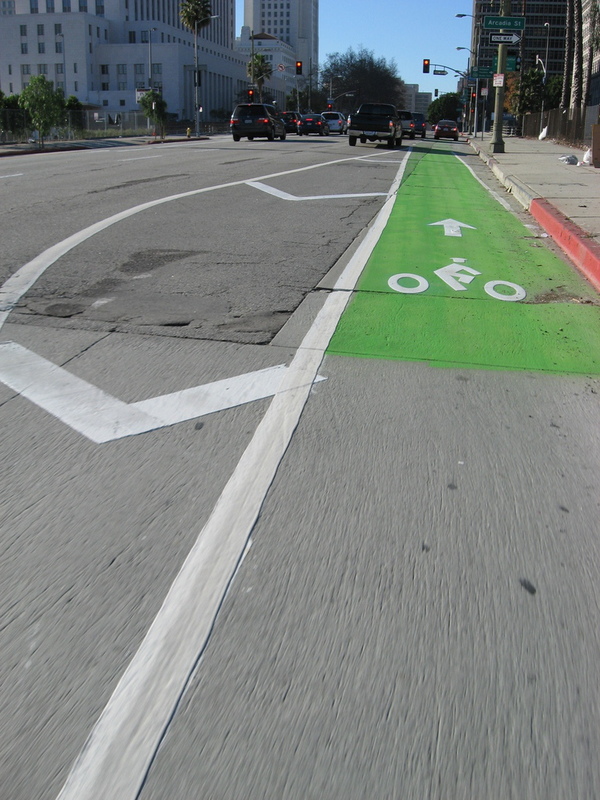 Riding out on Adams, we turned north just west of Crenshaw and found our way into Lafayette Square by the back way. Most of the streets in and out of the neighborhood are gated or otherwise closed to cars, but we were able to get through on our bikes. And once we got inside, we were bowled over. The houses are grand. 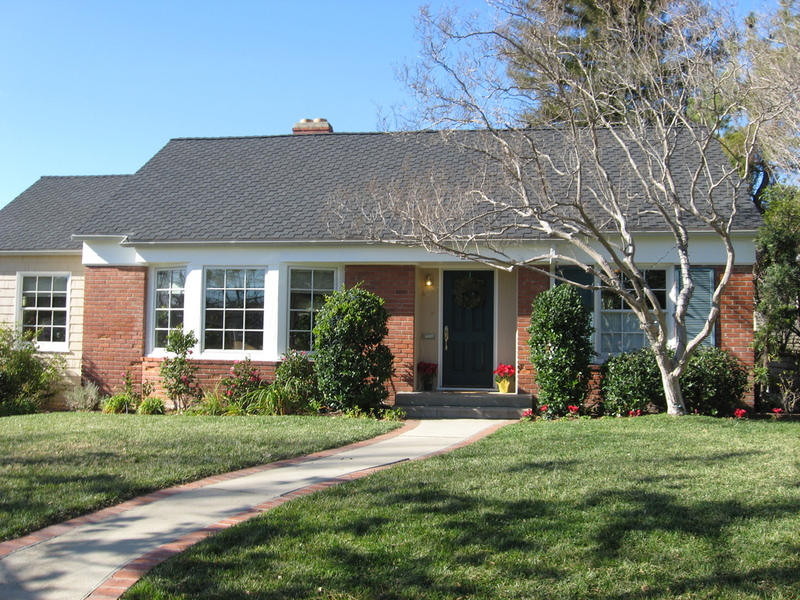 Most are well-kept, and the whole neighborhood just looks and feels like something that one would not expect to find in Los Angeles, especially in this area west of downtown. It was nice. We rode around a bit and looked at the houses. Then we headed out the way we came in and headed for home. We passed the former House of Davids, just to see what it looked like now. All the Davids were gone, but it looks like the house is still for sale. After that, we stopped for a bagel at Noah’s on Larchmont. Then we rode over to Silver Lake and headed up Benton Way. 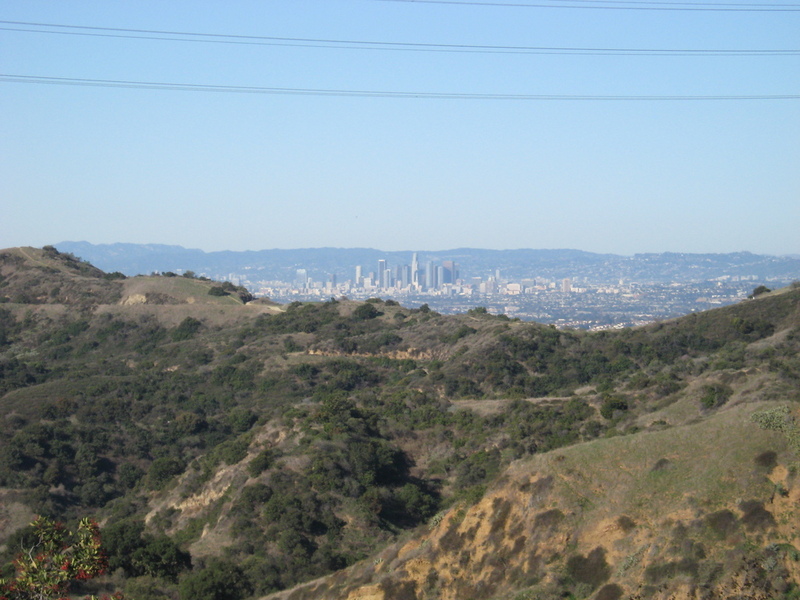 From there, we rode home by way of Eagle Rock Blvd and up the Colorado Hill. 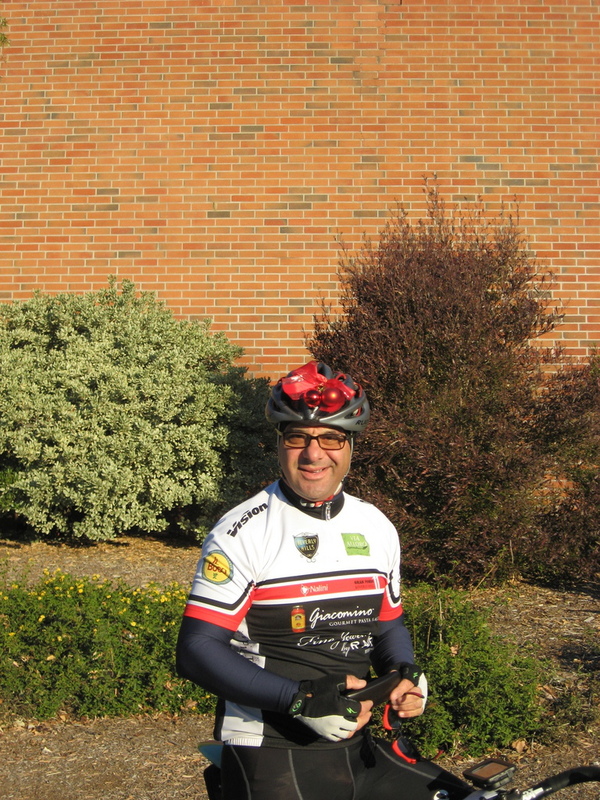 It was a nice ride, and I think we will be doing this route again with the Sunday morning group soon. Since the last Sunday of this month is Christmas, I decided that we should move the monthly ‘longer ride’ back a week. So this week, we rode to the San Fernando Mission cemetery to visit the graves of Lee de Forest and Chuck Connors. Lee de Forest was the inventor of the Audion Tube, which was a precursor to vacuum tubes, which made modern electronics possible. The route was pretty simple. We rode across Eagle Rock to Glendale. 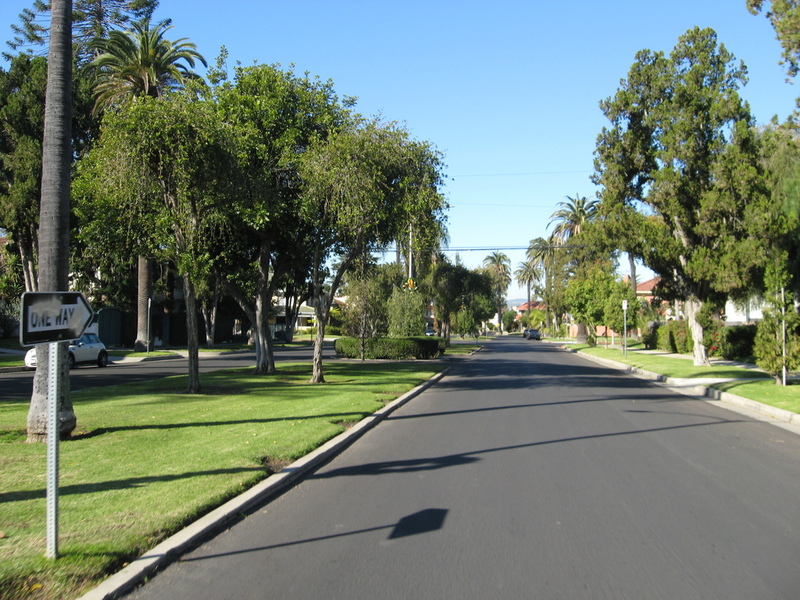 Then we got on Glenoaks Blvd and just rode north for many, many miles. 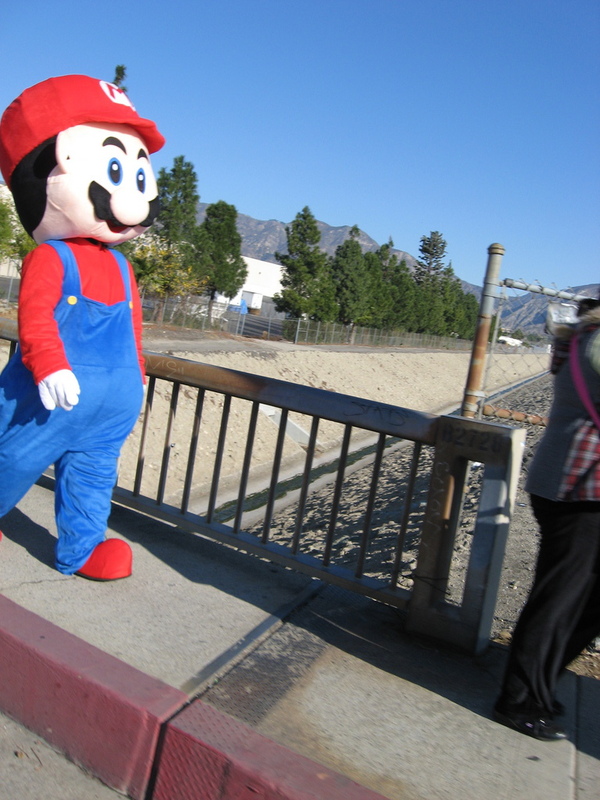 That’s where we saw the giant Mario walking down the street, which was suitably weird. When we got to the cemetery, we found Lee de Forest and Chuck Connors. Most of us knew Chuck Connors for his role in “The Rifleman” on TV, but we didn’t know that he had also been a professional athlete, playing both baseball and basketball. That’s a pretty good range of skills. The ride back was nice, aside from my getting a flat in Sun Valley. We rode up La Tuna Canyon coming home, and that’s always fun. Our snack stop was at Goldstein’s Bagels in La Cañada. They were playing Christmas music there, which I thought was a bit odd. All told, it was a nice ride. This week, I happened on the featured grave of the week at cemeteryguide.com. It was Sally Rand, former silent movie star and burlesque performer who is famous for her fan dance. It said she is buried in the cemetery in Glendora, so I knew where we were going this Sunday. It was kind of chilly, but not a bad day for riding. We had a small group, but that’s pretty normal when it gets colder. We headed out to the east. 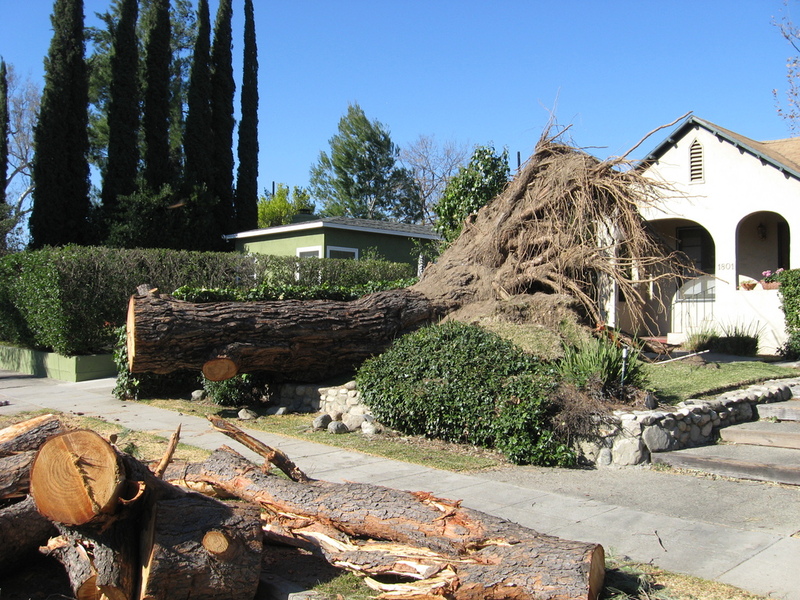 We saw a lot of storm damage in Arcadia, and a little in Monrovia. 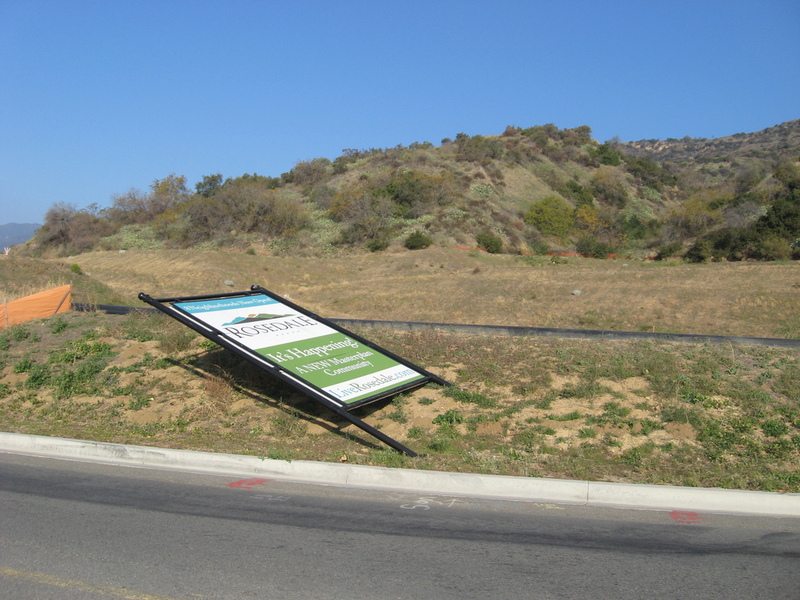 In Azusa, we saw one sign blown over, but that was the end of it. 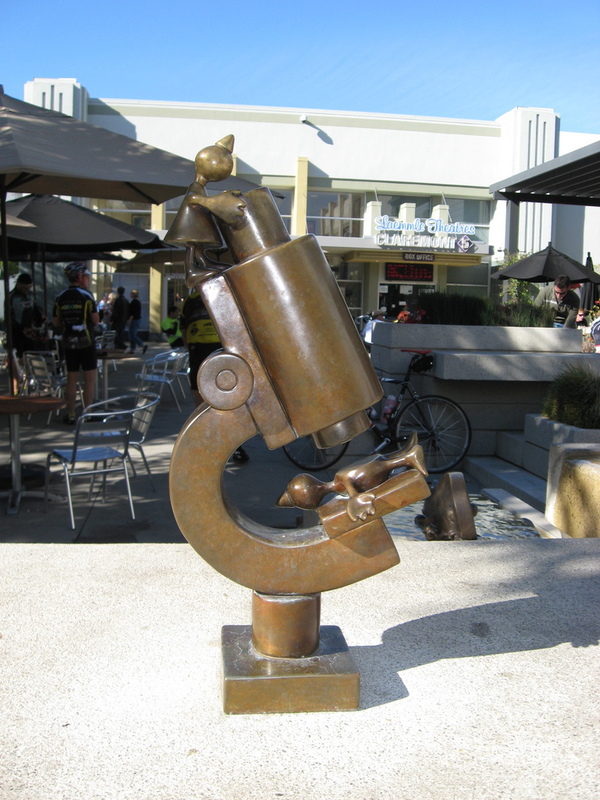 In Glendora, we stopped at Classic Coffee. We were just sitting down when Carla rolled up. She had been about 5 minutes late to the start, and she’d been chasing us all the way there. We had coffee and snacks, all the time wishing that our table was about 10 feet west and out of the shade of the building. Continuing on, we came to Oakdale Memorial Park. Apparently, they don’t get a lot of tourist traffic there. I had to go into the office and they had to look up where Sally is buried. It took them a few minutes to find, but I came out with a little map marked to tell us how to get there. 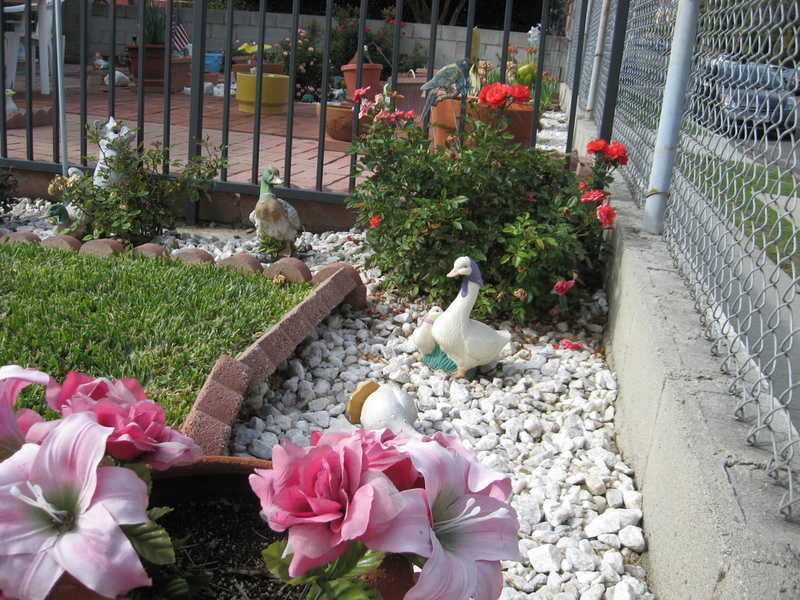 So now I have yet another entry for my graves gallery. We had neglected to bring fans, so Carla made do with the map and two route slips to demonstrate the basics of the fan dance. Our sightseeing mission accomplished, we headed home. It was a nice ride. It turned into a very nice day today, and I had a few hours free, so I went riding. 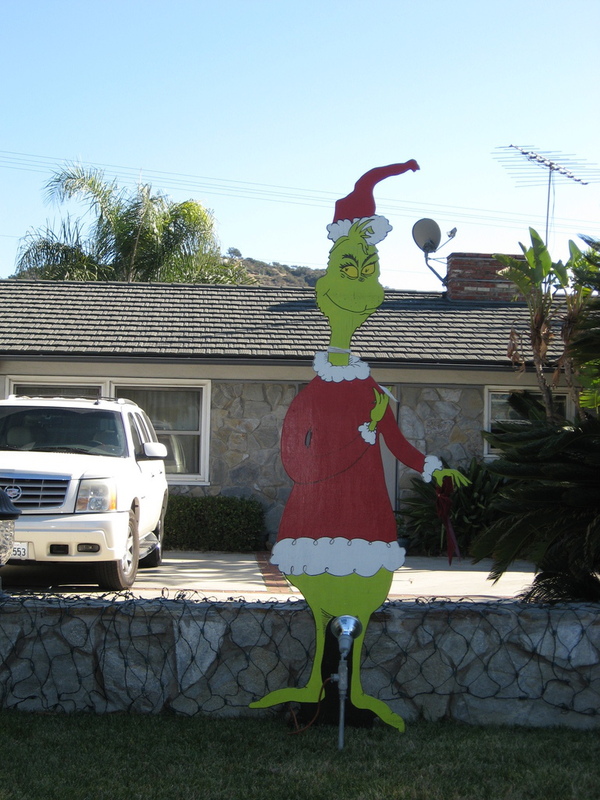 I’d seen the yard-Grinch in Arcadia before, but he’s always appropriate around this time of year. There wasn’t any parade today, and no marching bands chanting about wanting fried chicken. Ever since the storm, crews have been going around cutting up and carting away the fallen trees. 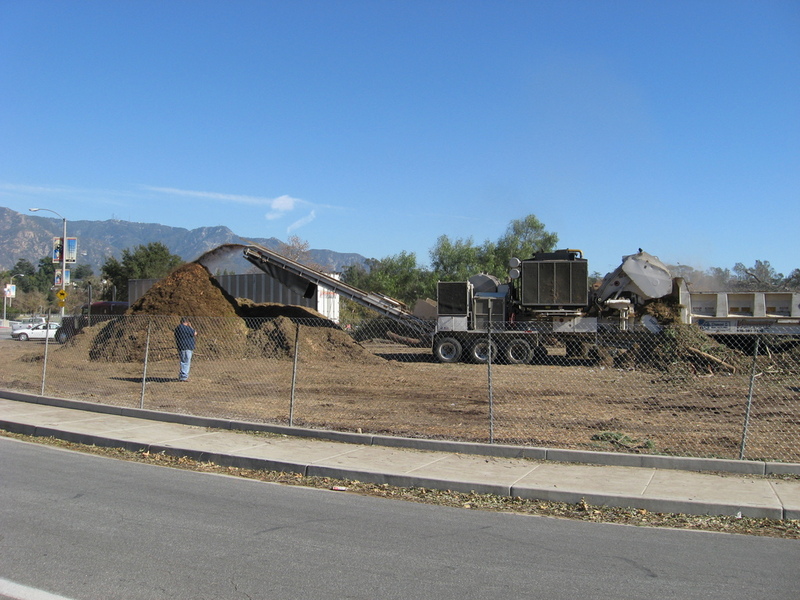 I’d wondered briefly what they were doing with all that stuff, and when I rode by the Rose Bowl I found out. They had a tremendous pile of sticks and leaves and branches. There was a front-end loader scooping up batches of stuff and dropping it into the hopper of an enormous grinder. 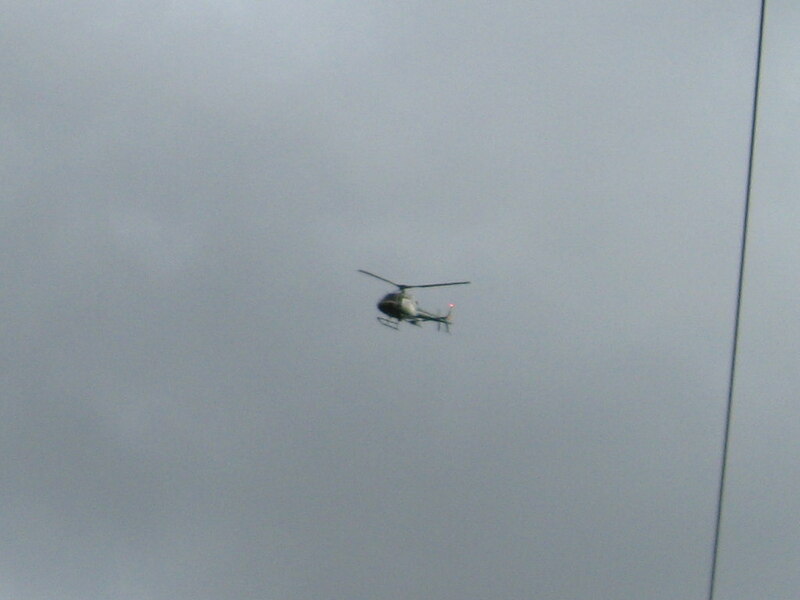 This was followed by BIG NOISE, and then ground-up stuff came spewing out the other side. There were a lot of pine and eucalyptus trees damaged in the storm, so the ground-up stuff smelled pretty good. I saw they had part of the road closed for filming near JPL. It’s on the part of the road where it’s like a little freeway for about 1/2 mile. The guy at the barricades said they were filming a commercial. The wallabies weren’t out today. But I did see the remains of the biggest fallen tree I’ve seen from the storm last week. 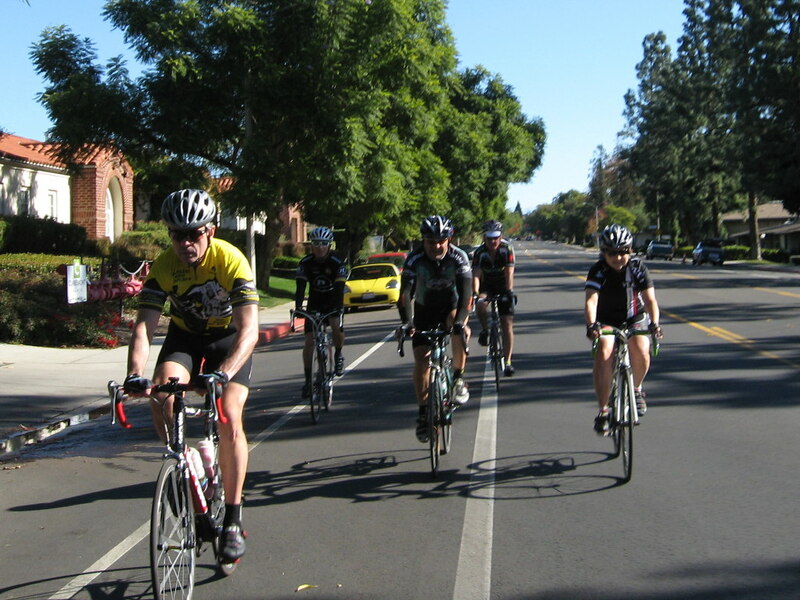 This Sunday’s bike club ride was the Random Ride to Whittier. 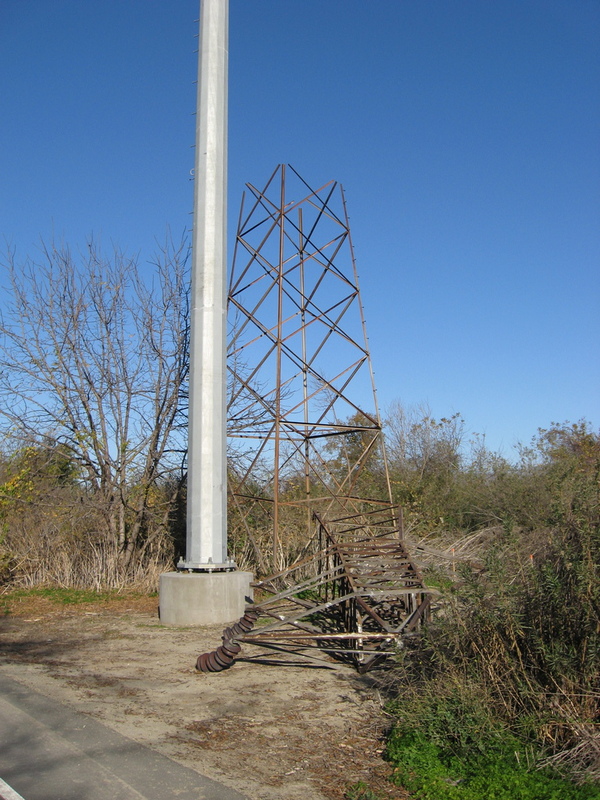 I figured that going south would get us out of the area of destruction from last Wednesday’s wind storm. 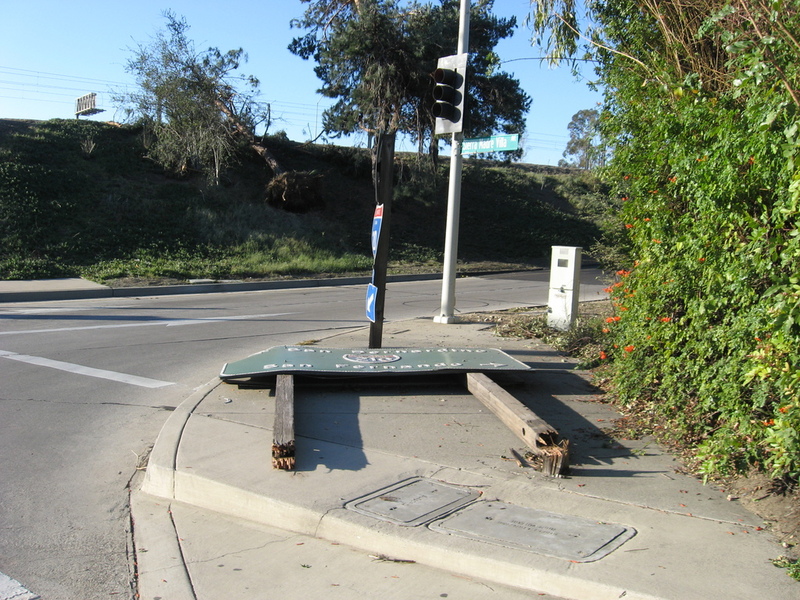 We saw a little bit of destruction on the way out of Pasadena, but after that it was all right. 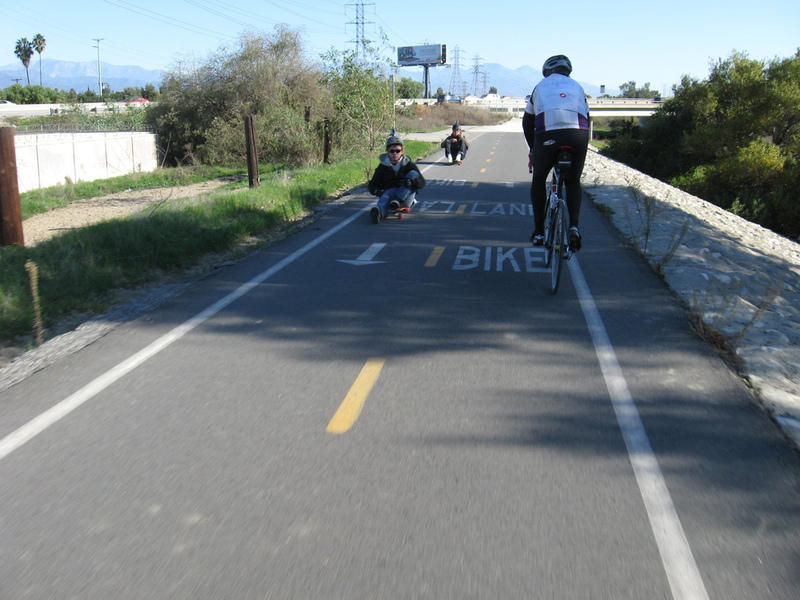 The bike path by Whittier Narrows Dam had a big sign saying it was closed, but we saw people riding on it, so we just tried it out. And it was fine. We were able to get through to where we wanted to go, so I don’t know what the problem was. I was too slow with the camera to get a picture of the guy on the skateboard being pulled by two dogs. Sort of a SoCal version of the Iditarod. I did get the guys riding on the motorized skateboards. 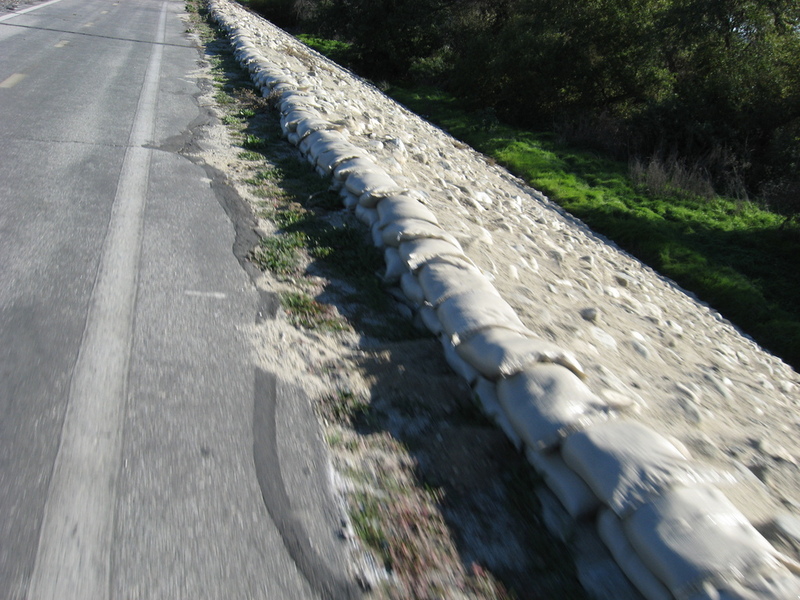 But I still don’t get what the purpose was of the row of sandbags on the edge of the river. 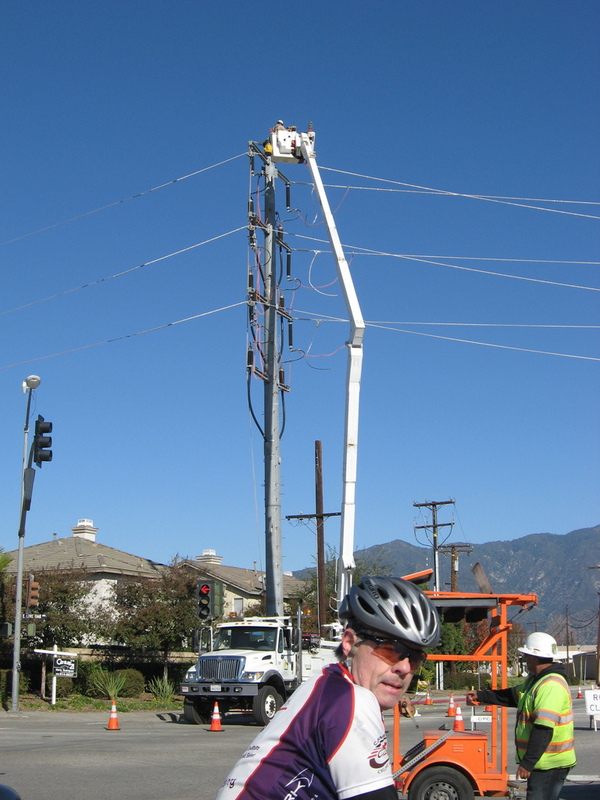 We had to take a small detour in Arcadia where the road was closed and a crew was fixing the overhead wires. But we went around it and made it to our snack stop at Merengue in Monrovia. It’s the last Sunday of the month, so it’s time for our ‘longer’ Sunday ride. 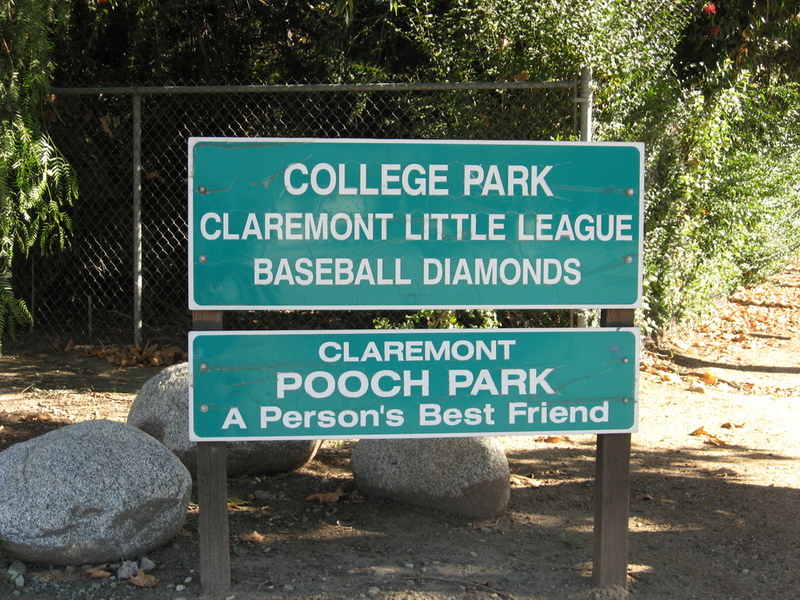 This time, I didn’t have any particular inspiration for weird sightseeing, so we just rode out to Claremont. It was a nice day for riding, aside from a slight headwind all the way there. When we got there, we went to Le Pain Quotidien for our snack stop. 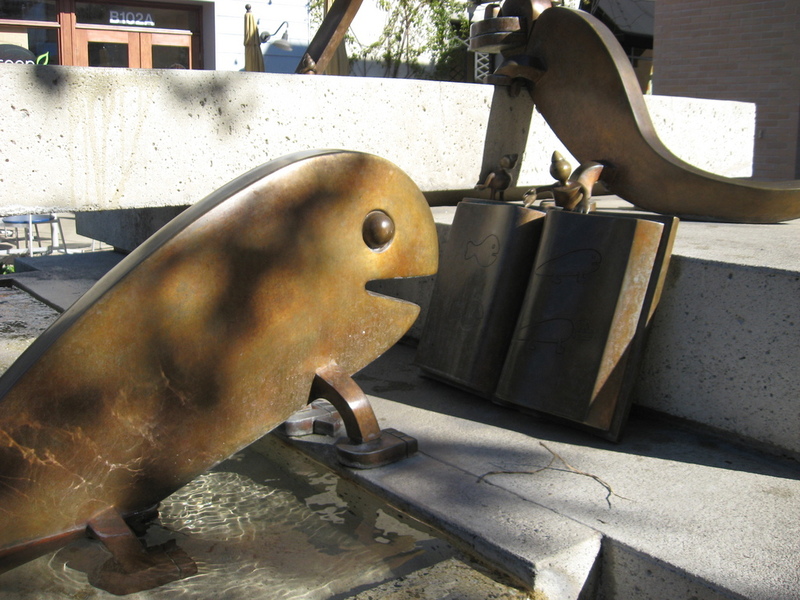 While we were there, I had a look at the bronze sculptures in the fountains outside. Fortunately, the wind didn’t die out, so it kept going to give us a nice tail wind on the way back. That combined with the 1% downgrade on Gladstone St to make for a fun trip back. Silvio got a flat on the way back. His tire just failed, and it did it in a way that made a noise that I’ve never heard a bicycle tire make in all my years of riding. 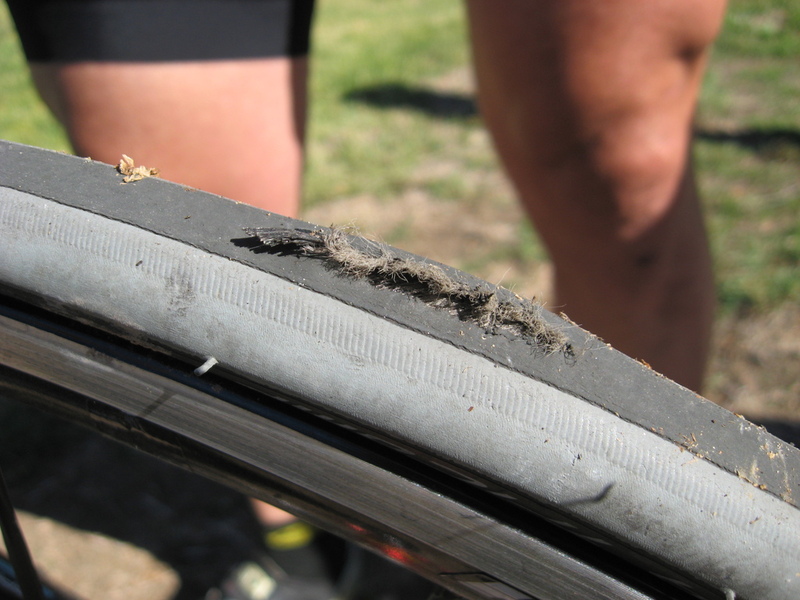 Fortunately, Carla had some tire boots, so we were able to piece it back together enough to make it back to Pasadena. When I got home, I had 56 1/2 miles, so I rode around the block once just to get to 57. It was a nice ride. I had a few hours free this morning, so I went for a short bike ride. 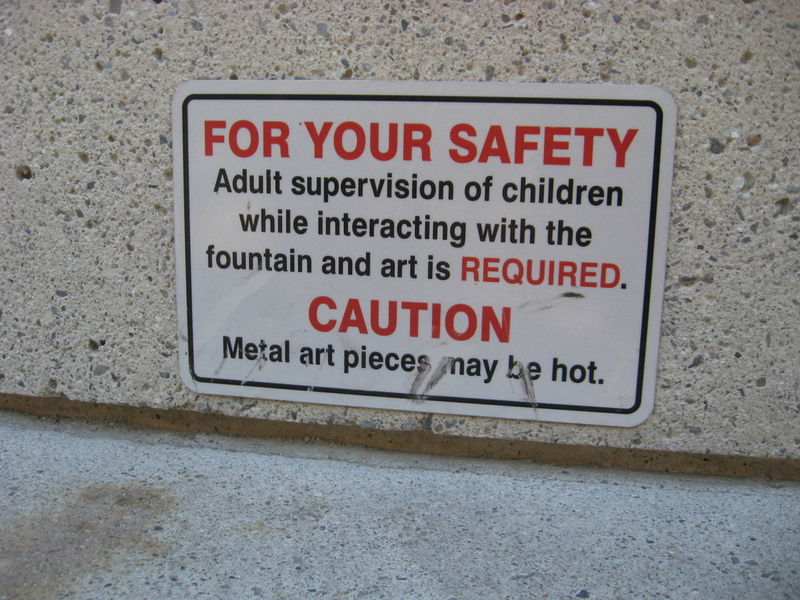 I wasn’t planning on going to see anything in particular. Just wanted to tool about a bit. But it turned out to be a weird little morning. 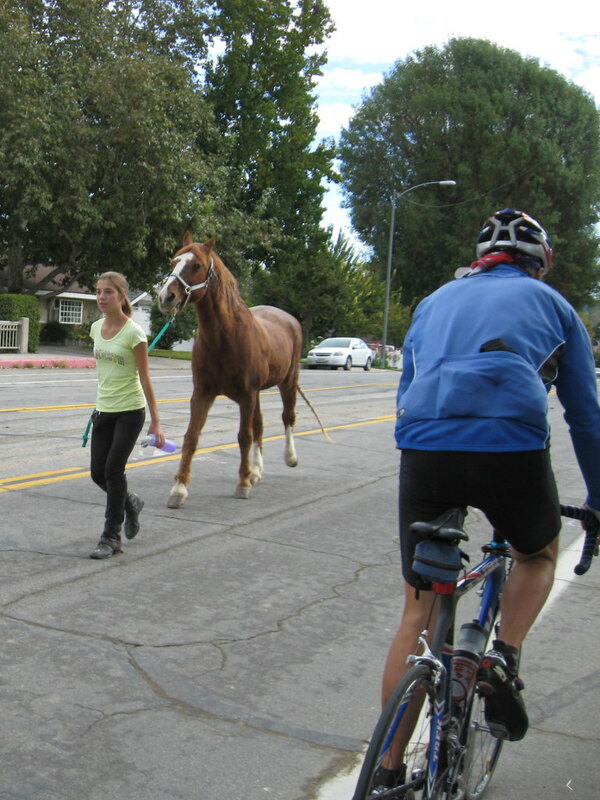 I rode out to Arcadia, and smack into a traffic jam in the detour around a parade route. 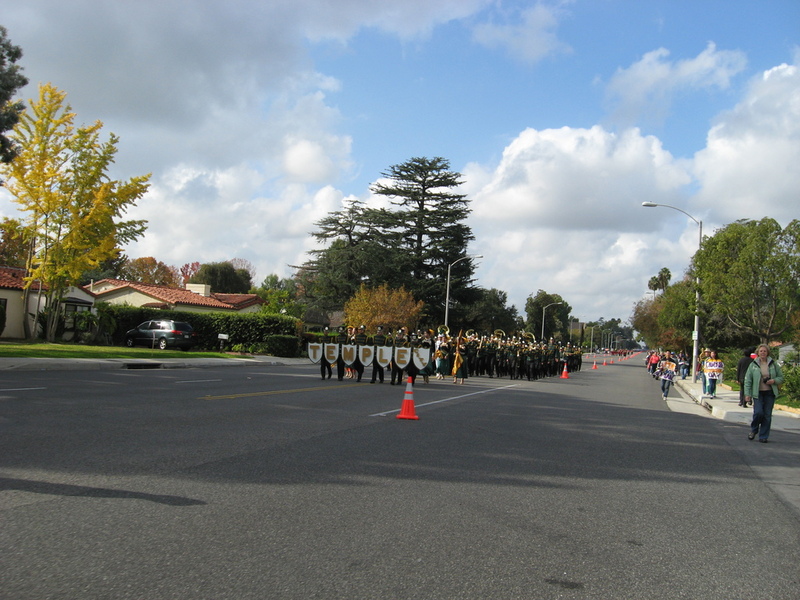 It was a strange parade, consisting entirely of marching bands. And there were essentially no spectators. Just people who were with the bands. And one of the bands was marching and playing, and chanting, “We want fried chicken!” It was weird. Heading back to Pasadena, I found out there was a UCLA game at the Rose Bowl, and the street I wanted to ride on was closed. 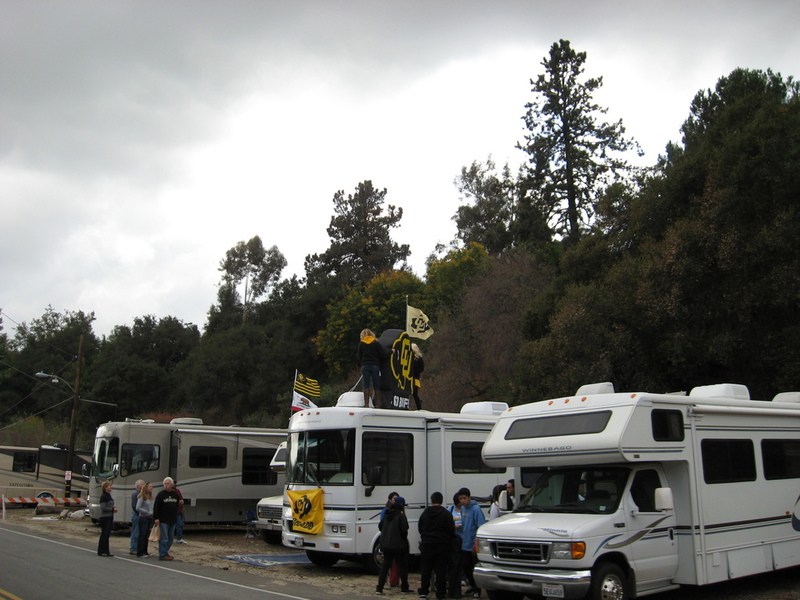 OK, so a game at the Rose Bowl isn’t all that unusual, but I thought the girls on top of the Winnebago with the giant inflatable CU buffalo were funny. After getting past the Rose Bowl, I headed up into Altadena for the trip home. And I rode right into a crime scene. 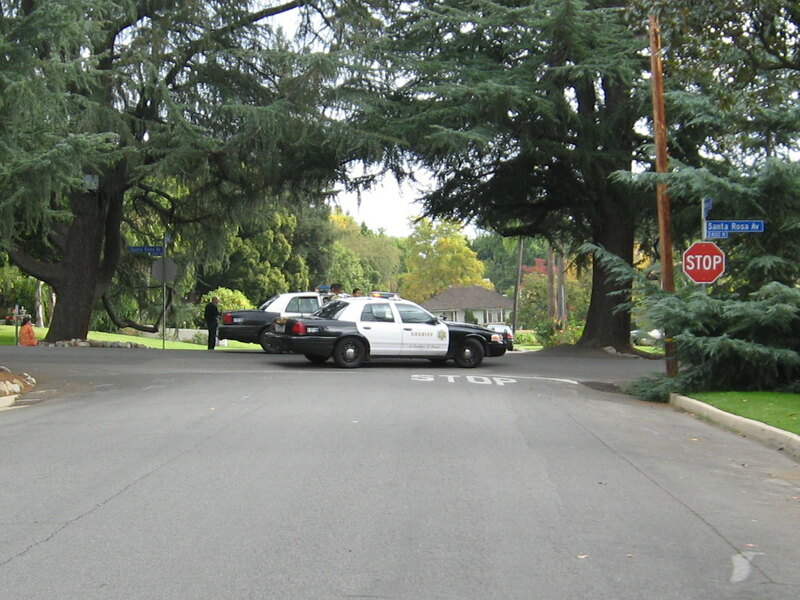 The L.A. County Sherriff had a block of Christmas Tree Lane closed off with cars and deputies at both ends, and a helicopter circling overhead. The told me they were chasing someone on foot, so I thought it was probably best to just get out of their way. And finally, I went by the house where the wallabies live, but they weren’t out today. All told, it was a weird morning’s ride. 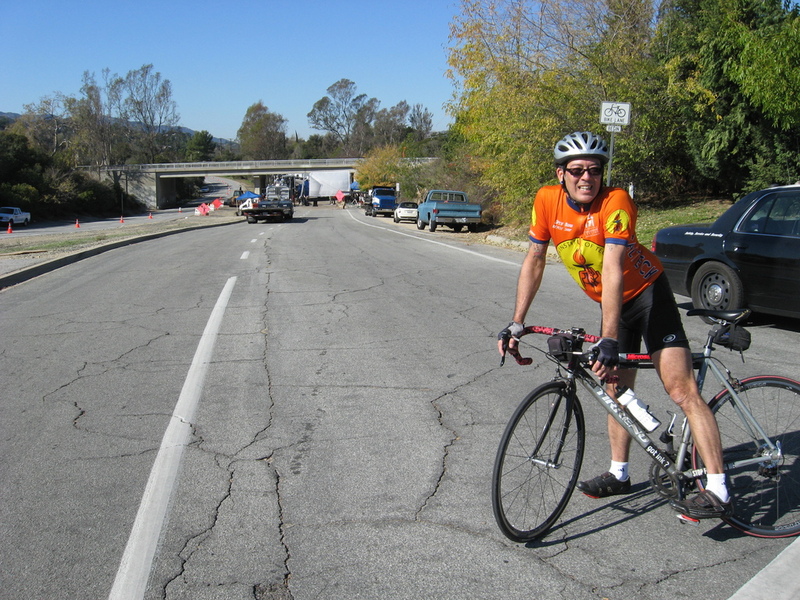 This Sunday’s bike club outing was a ride to North Hollywood to see the Great Wall of Los Angeles. 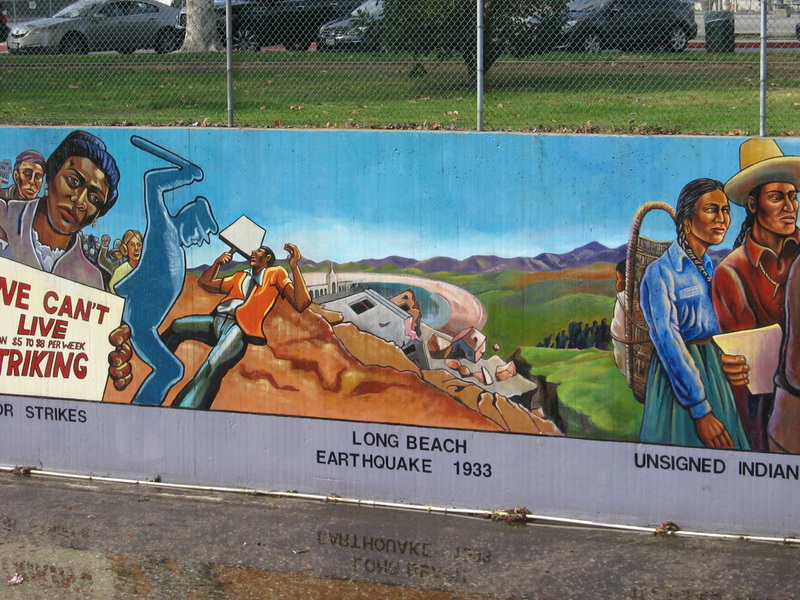 This is a long mural painted on the side of a flood-control channel that depicts events in Los Angeles history. 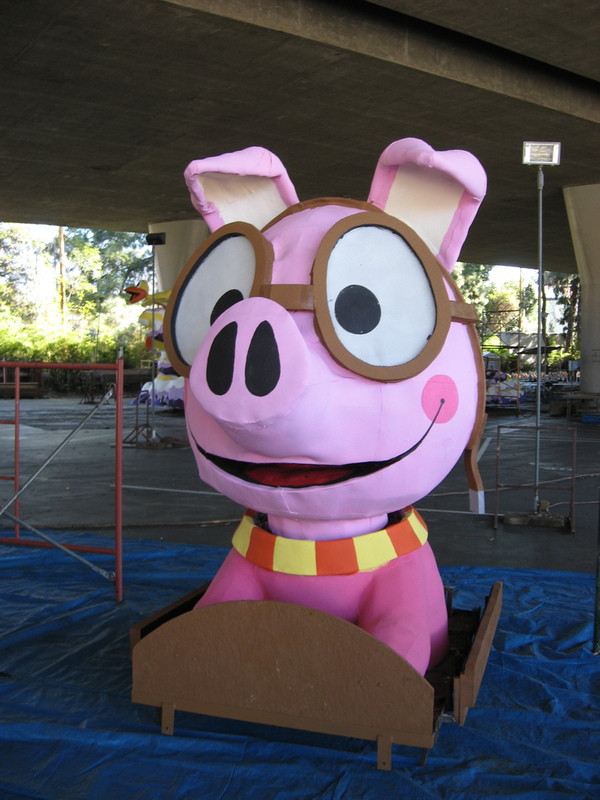 It starts with giant slots and saber-tooth cats at one end, and goes up to the 1984 Olympics at the other end. It was a good day for riding, and we had a good group. We headed out across Eagle Rock. 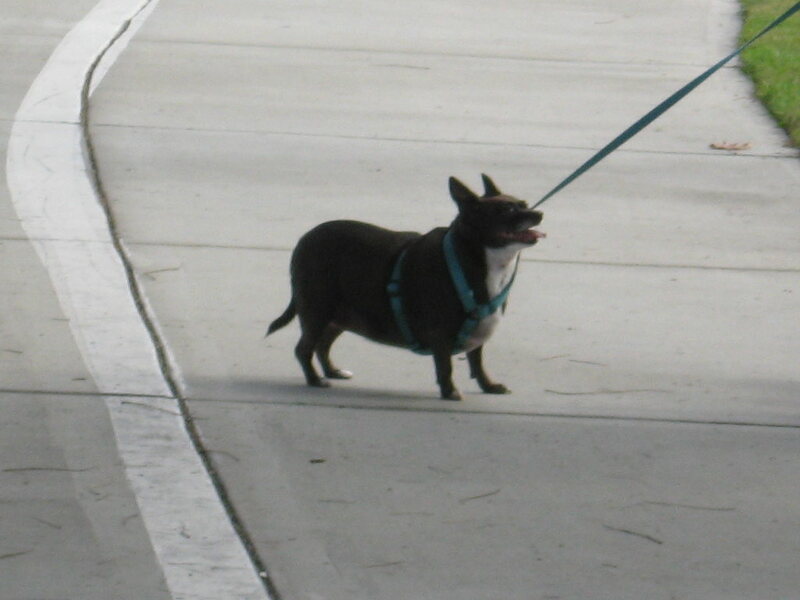 In Burbank, we took the Chandler Bikeway for a while, which was where we saw perhaps the fattest chihuahua I’ve ever seen anywhere. It looked like a bratwurst with four toothpicks for legs. 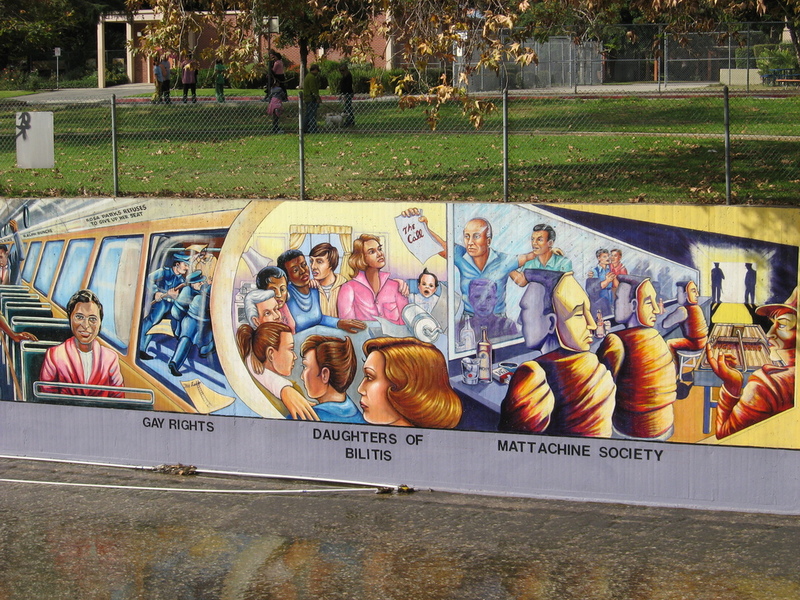 Oxnard St took us the rest of the way to the park that runs alongside the mural. 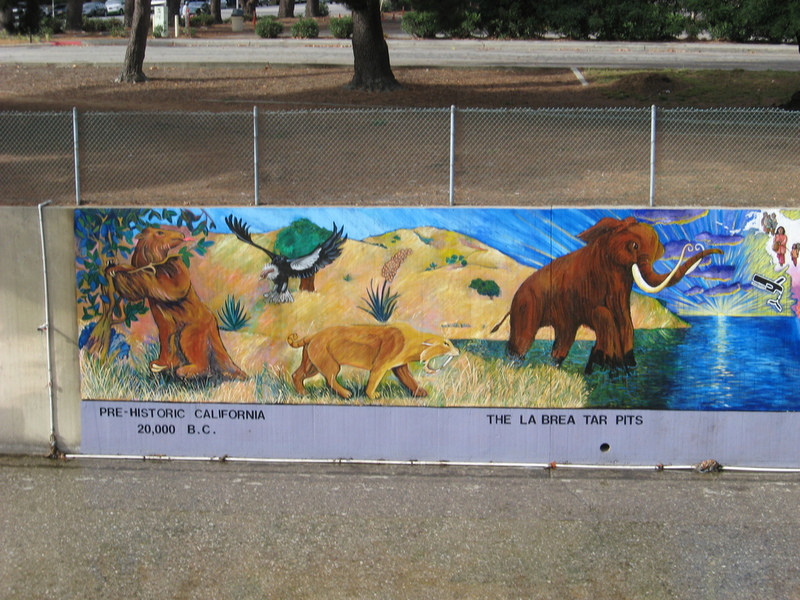 We came in at the modern-day end, and we worked our way back through time to the mammoths at the start. Then we turned on Chandler for the ride back. Our snack stop was at the Panera Bread at Chandler and Lankershim in NoHo. 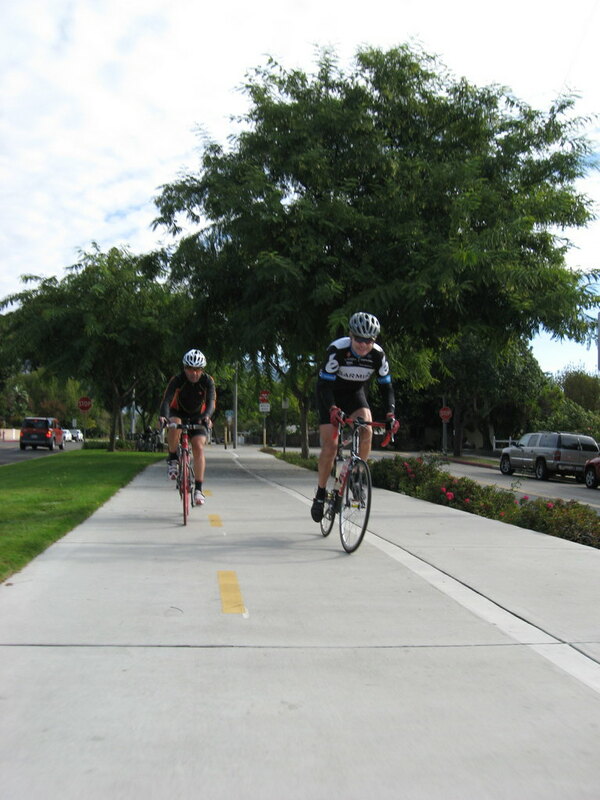 Then a bit more on the Chandler Bikeway across Burbank, and then back home via Yosemite Dr in Eagle Rock. 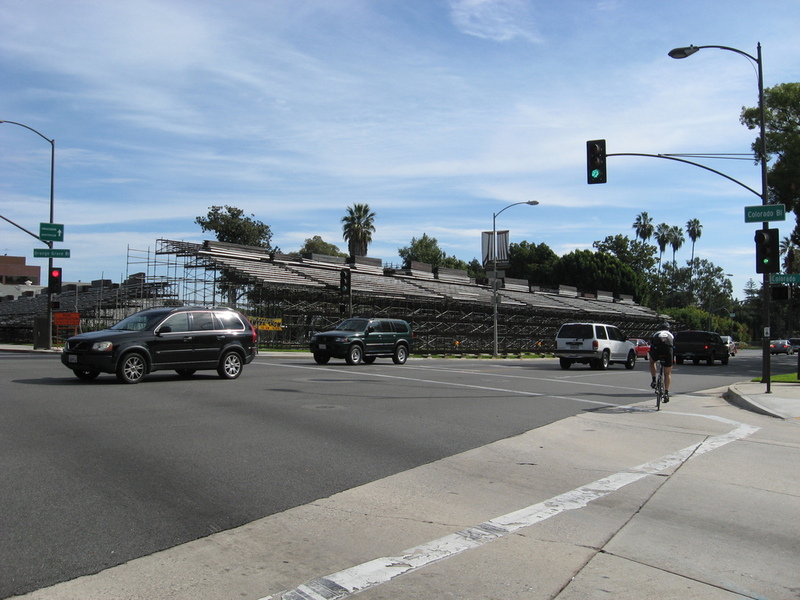 When we came back into Pasadena, we saw the first bleachers going up for the Rose Parade. Like the first robin of spring, that’s a sure sign of the changing seasons around here.